If you want to buy a good graphics card for gaming but has strict budget then a refurbished graphics card can fulfill your needs. Also getting a good deal on refurbished graphics card is very important otherwise you may be risking your hard earned money. Refurbished Graphics Cards are graphics cards that are returned by the customer for no reason or they may have developed some minor fault in their warranty period which are now fixed permanently. If there was some fault in the card then it is fixed and the card is tested to make sure that it is working fine with full glory. All refurbished graphics cards are cleaned, tested, re-packed and are labeled as refurbished for sale. These graphics cards also come with some warranty which generally depends on the condition of the card and the manufacturing date. Some older generation graphics cards (with older GPU architecture) are also sold as refurbished products. These refurbished graphics cards are cheaper than brand new graphics cards and attract a lot of attention from the users who are on serious budget. A refurbished graphics card may also be known as used graphics card in some cases. There is also some risks associated with refurbished graphics cards which includes very short warranty period and they may also have lower life span depending on the previous condition of the card. Generally refurbished GPUs or graphics cards run fine without any issues but there is always a debate among users that whether they should buy a refurbished graphics card or not. 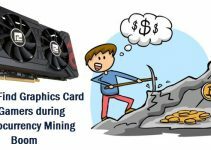 So here this post I am going to list down the various factors that you should keep in mind when buying a refurbished graphics card and how to get the best deal on refurbished graphics cards online or offline. How to find if the Graphics Card is compatible with your PC? The question that most of the users asked is that Is it safe to buy refurbished graphics card? 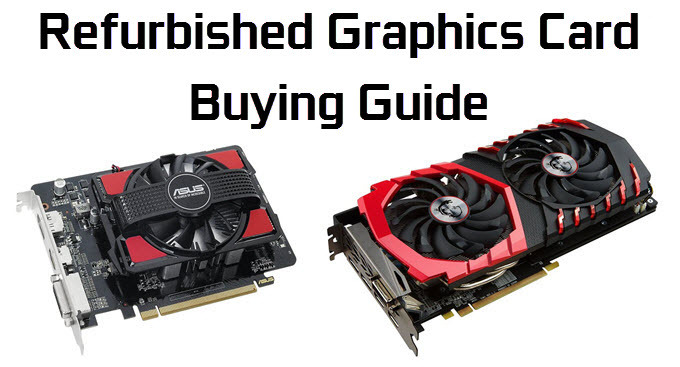 To answer this, here I am providing you the complete guide on buying a refurbished graphics card with top tips. Also here you can find out on how to find the best deal or best refurbished graphics card for your gaming build. If the price difference between a refurbished graphics card and new graphics card (both with same GPUs) is not huge then it is not generally advisable to go for a refurbished card. The price difference should be 20 to 50 dollars or greater (depending on the graphics card original price) in order to get the best value for money and get the same performance from the refurbished graphics card otherwise it is better to buy the new graphics card which will give you more warranty and peace of mind. Graphics Card Model or GPU is also an important factor when buying a refurbished graphics card because if you buy too old model then you won’t be able to get that much performance in latest games with decent frame rates. So just remember that if you want to buy an older model of graphics card then it should not be older than two generations. This applies to both Nvidia and AMD graphics cards. If you are unsure about the older graphics card performance then you can see its benchmarking scores for gaming and computation on the internet. Check the seller feedback, rating and reviews when buying a refurbished graphics card online. 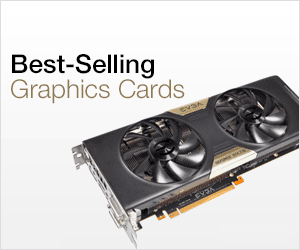 If the seller has good ratings and reviews then it is pretty safe to buy refurbished graphics card from it. You may also contact the seller and ask about the card condition and its history. Warranty is also one of the most important factors when buying a refurbished graphics card. Check out how much warranty the refurbished graphics card is carrying i.e. whether it is in days, months or years. More warranty means, more peace of mind and you don’t have to worry too much about that graphics card. Buying a Refurbished Graphics Card has its own pros and cons. If you can find a refurbished graphics card with latest GPU at a low price then you can certainly save some money and get the same performance as the new one. But if are an unlucky one and your refurbished graphics card fails after sometime then you cannot do anything about it as it does have a very short warranty period. Here you will be losing twice of your money because you may have to buy another card (obviously new one) which will cost you more than the refurbished one. If you still have some queries on refurbished graphics cards or graphics cards then feel free to ask me by leaving a comment below. I am still a little nervous deciding which graphics card I want to buy. 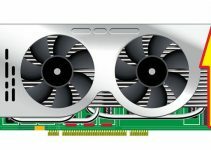 There is an EVGA GeForce GTX 1060 SSC GAMING refurbished graphics card going for $160 at the moment. I was originally going to buy a ZOTAC GeForce GTX 1060 6gb graphics card but right now I’m lost. I will leave a link below for reference. Thank you for your time and I hope you can help me make the right choice. I think it is better to go for the new ZOTAC GeForce GTX 1060 6GB for 50 bucks more, because the price difference is not that huge, and this Zotac card has GDDR5X RAM that can be easily overclocked to higher speeds. Also, this card has smaller form factor (is lesser in length, 211mm), and have no trouble fitting in smaller computer cases. Hope this helps! How to Find Graphics Card Compatibility with your PC?